A superb "Jaeger LeCoultre" "Atmos" "15 jewel" Swiss clock timepiece, with a gilded brass case dating from the last 50 years This is a fabulous "Jaeger-Le Coultre" "Atmos 15 jewel" clock timepiece, having a fabulous gilded brass case with five viewing apertures, standing on a canted bracket foot style base, behind which is an exposed movement escapement signed "Jaeger Le Coultre" "Atmos Swiss 15 jewelled" and having a beautiful gilded brass bezel. Below is a circular gadrooned gilded brass pendulum. 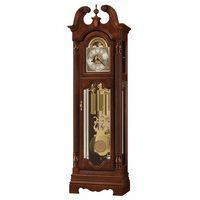 The clock timepiece has a front opening door for access to the movement, you push the arrow down and the glazed door comes out. To the centre of the base, at the front, inside below the movement, is a spirit level to adjust the levelling of the clock. 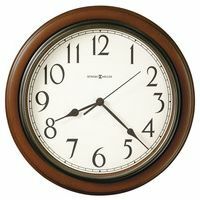 The clock is in full working order and keeps wonderful time and runs well and dates some time in the last 50 years. The clock, as mentioned, is signed "Jaeger-Le Coultre" and is wound by atmospheric pressure, the change in atmospheric pressure winds the main spring, this works via an aneroid barometer mounted on the rear of the movement. The clock and movement are all in absolutely fabulous condition, in full working order, and keeping very good time, with the movement having beautiful red ruby jewels, with the barometer fitting to the rear of the movement, attached by chain to the winding mechanism. 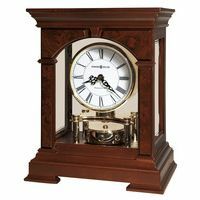 The clock, with its canted corner and rectangular body stands 9.25 inches high, has a width of 8.25 inches and a depth of 6.5 inches with a diameter across the bezel of 5.375 inches.